Ipinaliwanag sa isang statement ng management ni Shanti Dope kung bakit di sila makaka-commit sa sinasabing concert kasama ang Ex-Battalion. 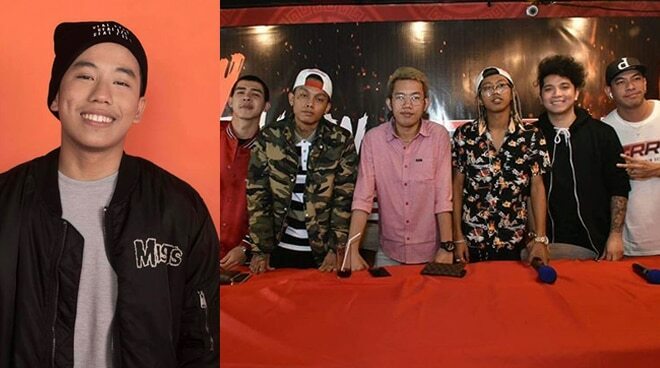 Nilinaw ng kampo ng rapper na si Shanti Dope ang dahilan ng napabalita na pag back out niya sa planong pag sasama sa isang concert ng Ex Battalion sa July 14 sa Ynares Sports Arena. Sa ipinadalang statement ng management team ng rapper, nilinaw nila ang kanilang panig na taliwas sa mga naglabasan na negatibong balita. “We take time responding to invitations for Shanti primarily because he is a minor, which requires us to ask permission from his mother for any and all performances," umpisa ng kanilang statement. Kasama na dito ang pagiging isang estudyante ng rapper kayat limitado ang pagtanggap ng mga imbitasyon. “Shanti is also a student, which means that when a commitment requires him to take time off from school, his mother will have to inform his teachers about his possible absence, and Shanti will have to promise that he will catch-up with missed lessons. Maybe concert organizers misread the amount of time we took making sure Shanti could do the concert and presumed this was about something else. “We also never suggested a back-to-back concert – we know full well that as a young artist, Shanti is not ready for that. We also did not request for a solo number for Shanti – in fact, the invitation of concert organizers was always for three spot numbers, which we agreed to. But on June 24, organizers suddenly requested for an additional collaboration number. This is not an easy request to say yes to because a collab means an additional day for rehearsals – a day that would mean Shanti will miss school, which means informing his mother, who will then inform his teachers about his absence. “We informed the concert organizers of this, and they were the ones who said that they would just cancel Shanti’s guesting. Suffice it to say that this is not only unfair, it is also unprofessional. That day was already reserved for the concert, and the producers are cancelling Shanti’s participation because their new request cannot be fulfilled for good reason. We repeat that a collab was never part of the original agreement with concert organizers. We have also since returned the downpayment for Shanti’s guesting in the concert, even as we shouldn’t be required to do that, especially since the cancellation of his performance is not our fault but the fault of concert organizers. "We have all our exchanges with concert organizers to back up our claims. "Lastly, we will never apologize for ensuring that Shanti Dope does not sacrifice his studies for his young music career. To us, it is clear what Shanti’s priorities should be,” pahayag pa nila sa ipinadalang statement. Si Shanti Dope ang boses sa likod ng hit songs na "Nadaranang" at "Mau" at isa din sa mga talent ng award winning rapper na si Gloc 9.